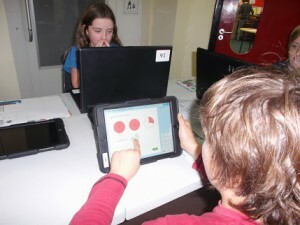 Since the introduction of Mathletics into the school the children are really engaged in what it has to offer. 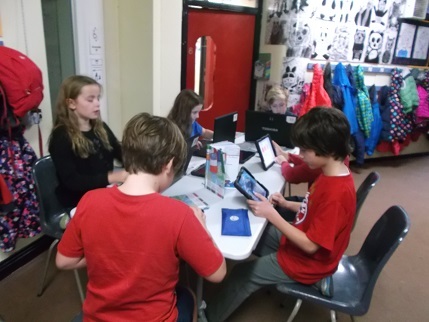 As we now have extra iPads for the upstairs classrooms, it has become an integral part of the maths lessons on a regular basis. 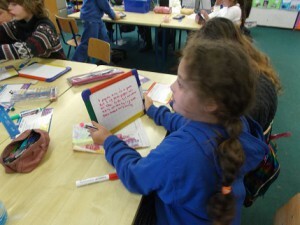 Each child has a weekly target of 1000 points which they can work at their own pace. Some have been very successful in achieving Bronze and Silver certificates. A big congratulations to those children. 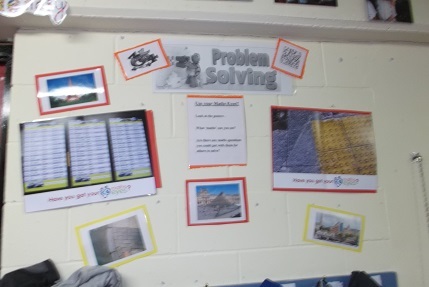 4th Class are active in engaging in problem-solving activities on Fridays. 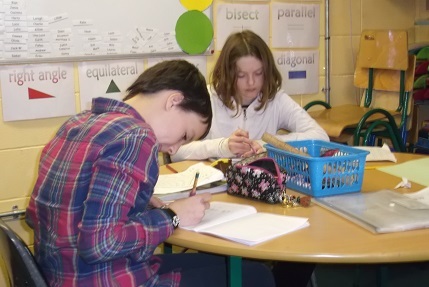 The skills of writing down the problem , talking with their partner and working in a logical way are all skills which make problem-solving that little bit easier. Here are some comments the children made during the session : “Really good”, “Great fun way of learning”, “…proud of yourself.” and “Quite fun….problems can be hard but once you get them you feel relieved that you accomplished the task”. 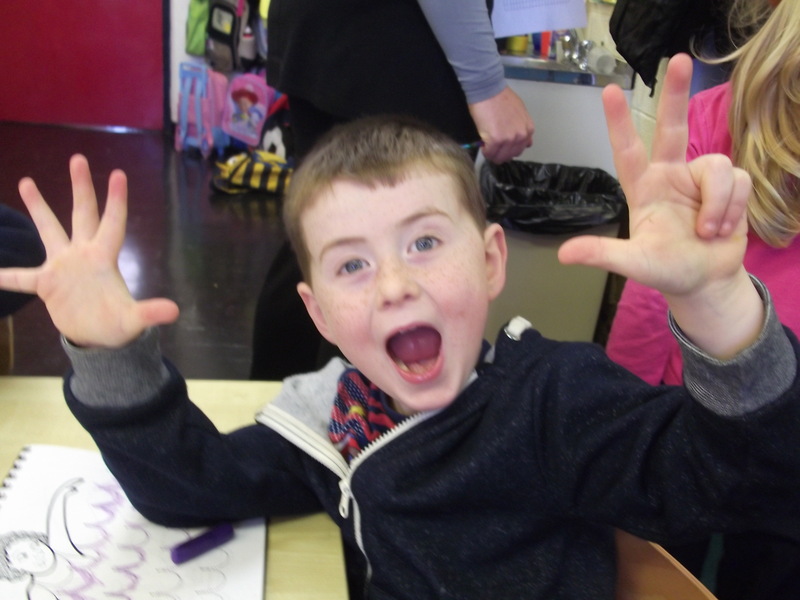 Mathletics in now available to all children in DSP thanks to our PTA.’ Mathletics is a web-based learning program that integrates home and school learning via the internet’ (Mathletics Welcome Pack 2015). Each child has a unique password and username giving the access at home on the a PC or iPad. 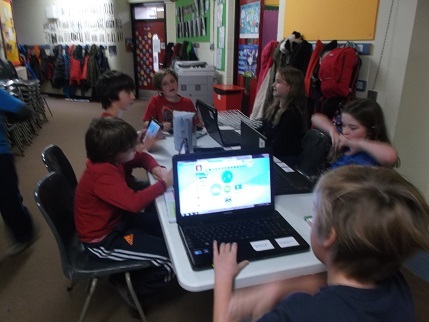 They can also challenge each other online too which makes it competitive in a fun way. 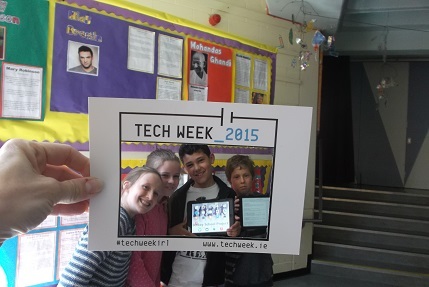 Here are some children from 4th Class having fun on Mathletics ! 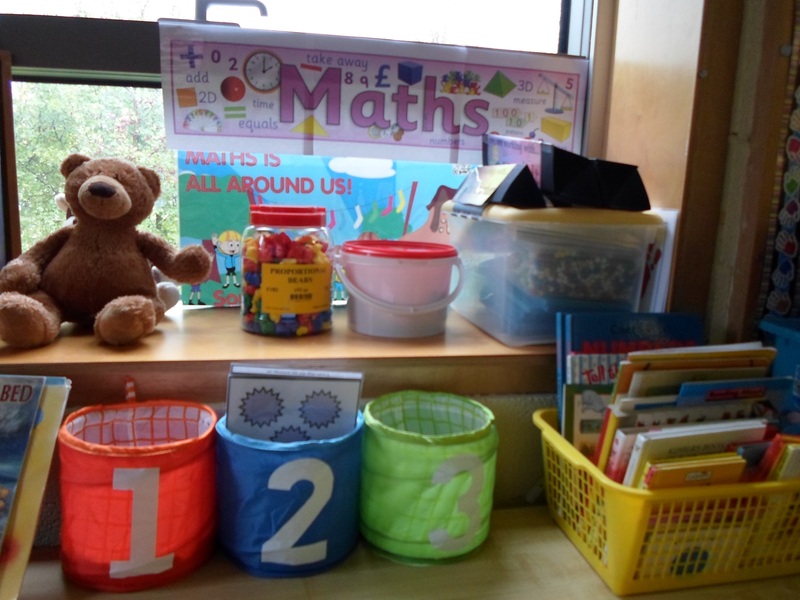 Numeracy is our main curriculum focus this academic year. 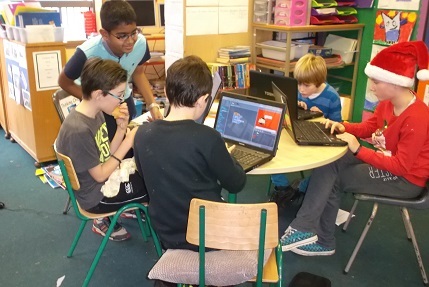 To get us back into working mode after Christmas, both 4th and 5th Class are participating in MATHletes Challenge (http://mathletes.ie) . 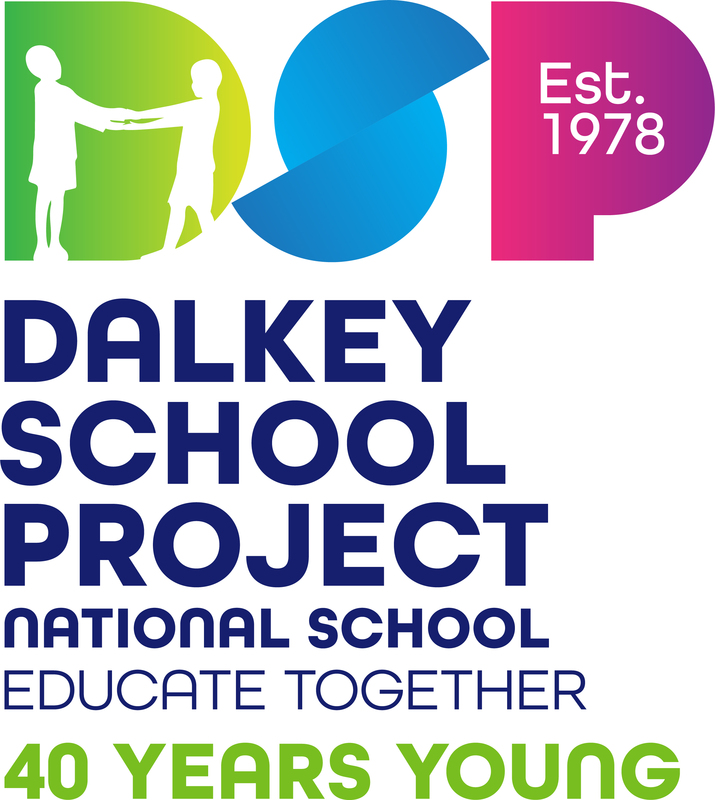 This is a free national maths competition for Irish primary and secondary students. 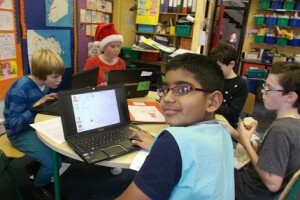 Pupils compete with their schools and/or as individuals online using the website Khan Academy (www.khanacademy.org) which is a free, safe and secure online resource. 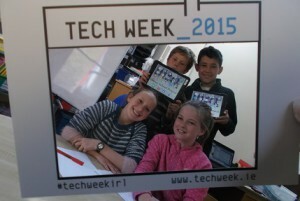 There is a chance of winning cash grants to use for technology in the classroom. Good luck to everyone who is participating. 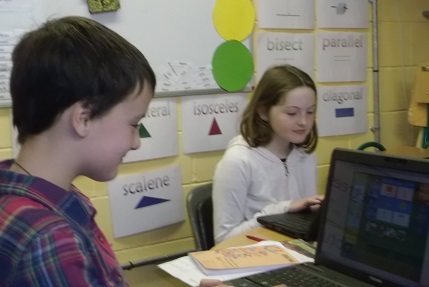 Fifth class have been busy working on Fractions for the past few weeks. Pictured above are Lily and Ruby making great strides in the addition and subtraction of Mixed numbers. The hard work and determination has paid off! 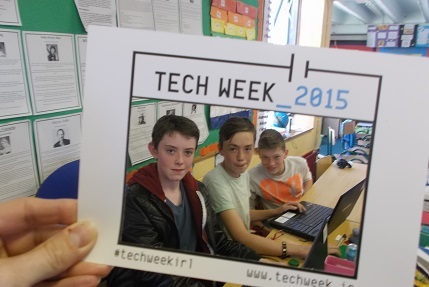 Sixth Class have been looking at SCRATCH programming – which is basically computer programming for children of all ages. For further information check out www.scratch.mit.edu. Best of all it’s free !! Maths stations in 6th Class -hard at it! Computer programmers of the future maybe…? Take a look at the work we’re doing on Problem Solving and our Problem of the week. 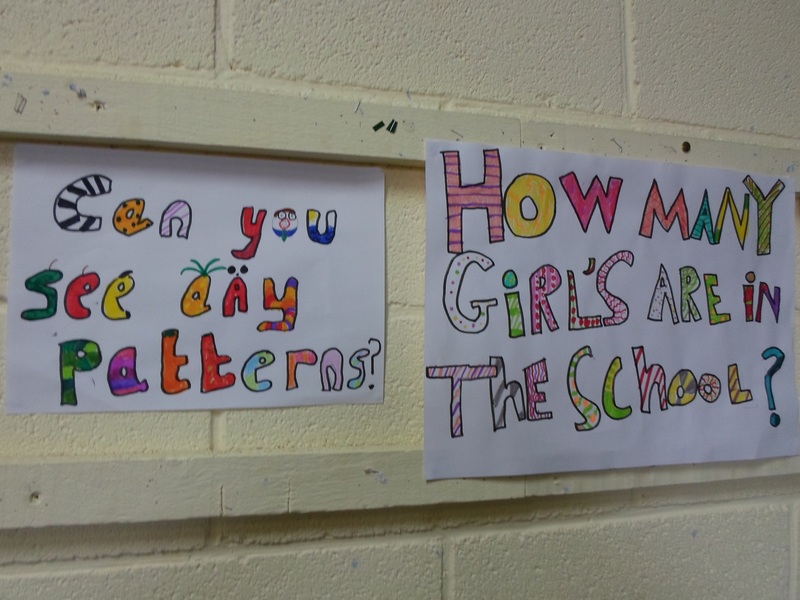 problem for Junior Infants – 2nd is at the top of the inside stairs and for 3rd – 6th it’s on the wall outside 4th. 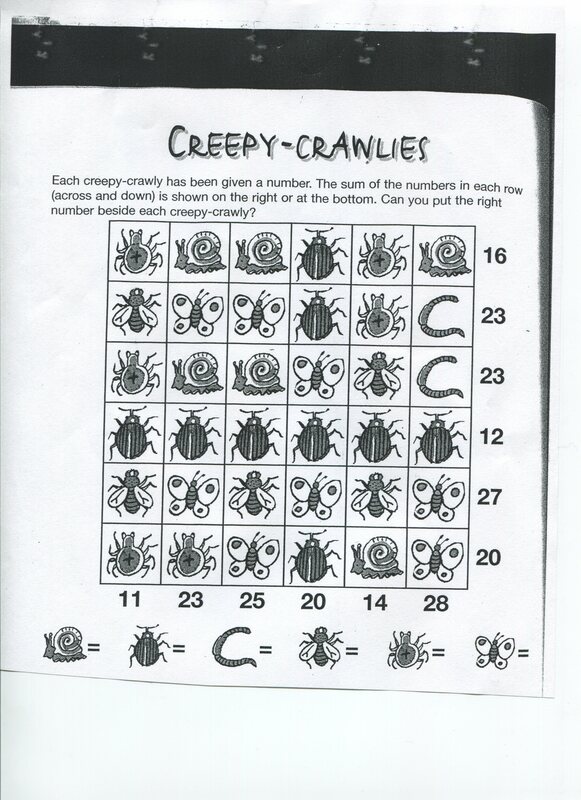 They are encouraged to use the Problem Solving Strategies which are displayed along with the problem. For Term 2 we have decided to start looking at what maths can be seen around us , at home , at school and in the local environment. 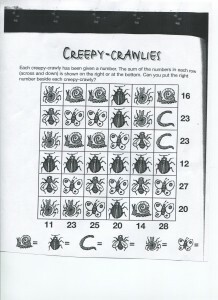 This is helped by using a Resource Pack called ‘Developing Maths Eyes’ . 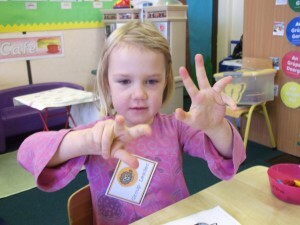 The main aim is to encourage children to use their eyes when they’re out and about – that maths is not just for school. 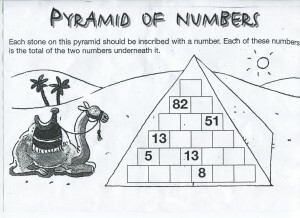 More information can be found on www.haveyougotmathseyes.com. 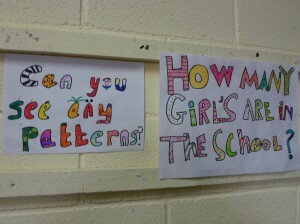 It’ll now be up to the children to create problems for others to solve based on the posters put up around the school. So, next time you’re out and about see can you spot maths in the environment. Tech week 2015 is to promote the idea of a career in IT and letting children see that it’s not as intimidating as it may appear. 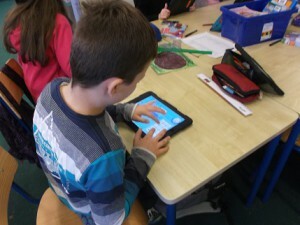 We have been looking at the way in which IT is being used in the classrooms . 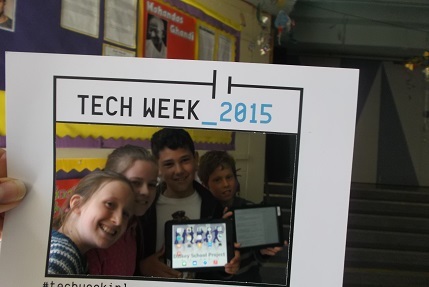 There’s no signs of children being intimidated by technology here…! 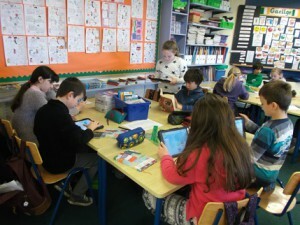 4th Class carry out research on children’s ideas about the school..
6th Class working on their Dragon’s Den project. How many waves did I draw? 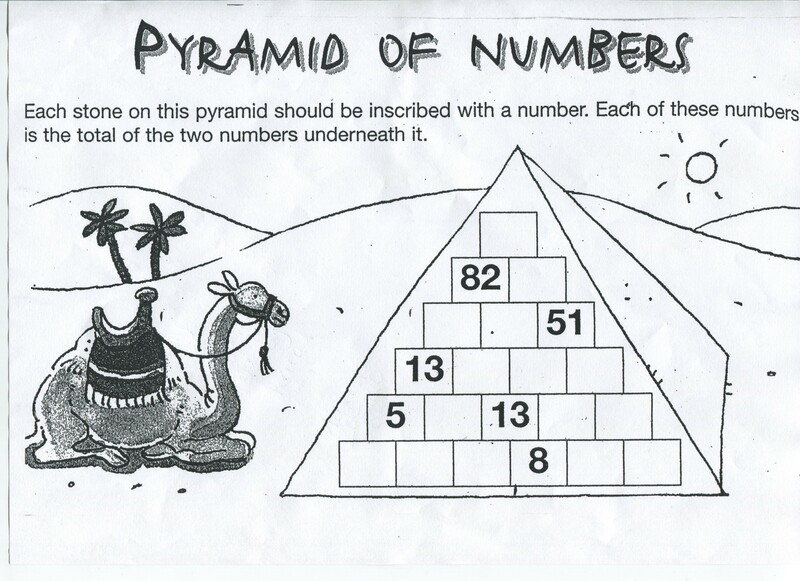 Can you show me 8?